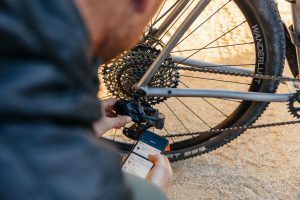 We live in a pretty amazing time of bicycle technology. 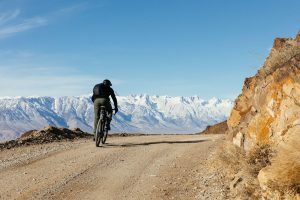 Disc brakes, thru-axles, tire choices and bikes (as in a single bike) that can be ridden on any terrain you can find. 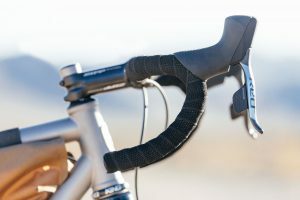 Electronic GPS enabled computers to track our speed, time and watts (or lack thereof) and shifting. 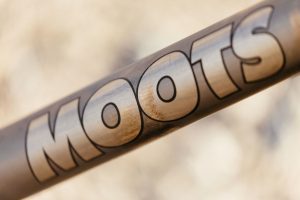 As a bike builder that has been at it for as long as Moots, we’ve seen some great ideas and some really bad ideas. Thankfully the bad ideas are less and less, with the good ideas coming only after a great deal of research, testing and tweaking have been done. Video feature above of the Baxter in action with the wireless group set doing its thing. 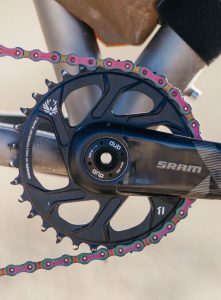 The lead up to the new SRAM 12 speed Etap has been less that a massive secret. Spy shots, leaks and speculation. 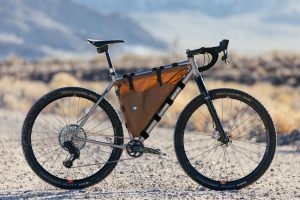 Well, now that the groups have finally “dropped” we can share with this project we worked closely with THE RADAVIST and SRAM. 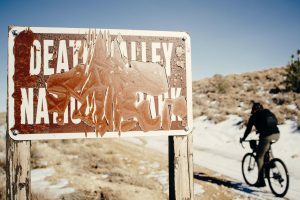 Once John had departed Steamboat after our point to point journey, we started having a conversation about a project he was set to work on with SRAM. He would like to use the same bike to feature this “new” group set. 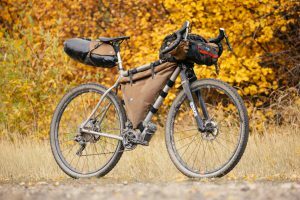 Since the Baxter is the ultimate in versatility it would fit nicely with the drop bar “EagleTap” as we named it inside of Moots. 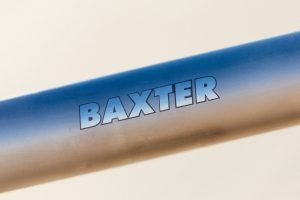 The Baxter had Di2 holes in the chain stay, seat tube and downtube to accomodate the wired group. If you look closely at the images (below) you can see a black dot on the chain stay that is a nice little rubber plug that can be insterted if not using Di2. This was a perfect way to show the versatility and wide reach the Baxter has. The new Etap AXS group would make it even more so. 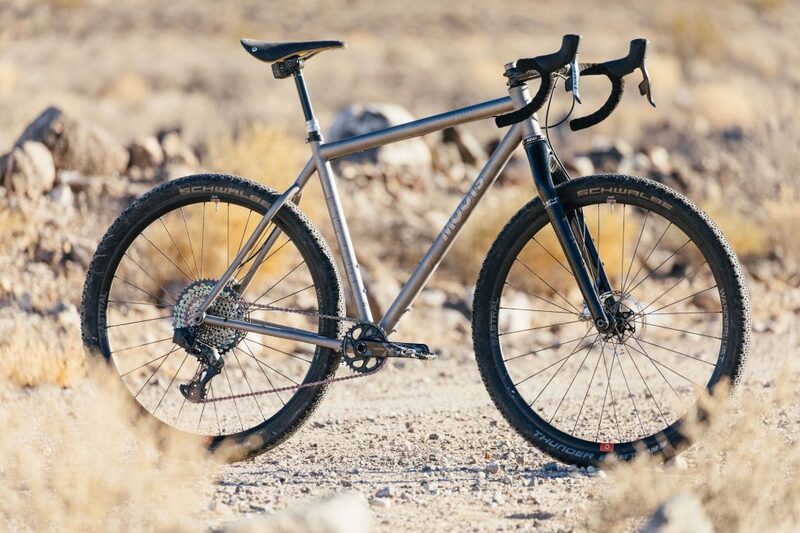 Dimensions where called into SRAM and a box showed up in the Moots shipping department. Now over the years we’ve seen some pretty funny and by funny I mean silly things come from component manufactures. Group sets made totally out of plastic for “mock up photos” only….held together by super glue and duct tape….just barely good enough to hang on a bike for studio photos. The SRAM stuff was not in this category. Solid pre-production parts that could be ridden showed up (after signing a NDA, (non-disclosure-agreement). I hurried them off to my office and kept the build on the low-down as the parts emerged from their simple plastic bag wrappings. 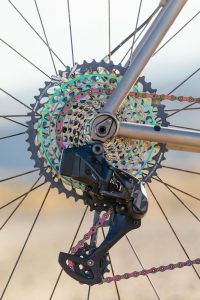 Pictured above (upper two images) is the massive range of the Eagle 10-50 cassette in the “oil slick” colors with a chain to match. The ease of installation and set up should not be over looked. 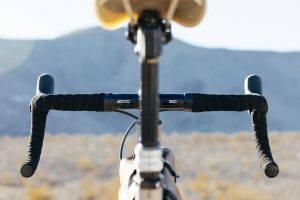 Once you are wise to the way the levers pair to the derailleur it all makes perfect sense. 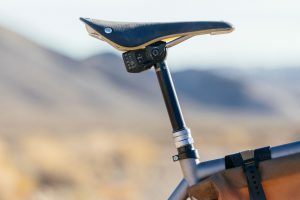 For the dropper seat post the normal movement of hitting the levers at the same time to shift the front derailleur take place. Up, down with ease. Note the battery in the seat post just the same as the derailleur. 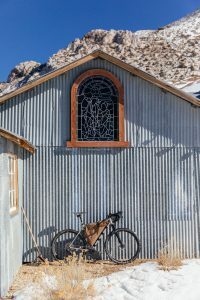 Once built the Radavist Baxter was shipped off to LA where John was plotting his visit to Death Valley to ride, photo and film the bike and group in action. 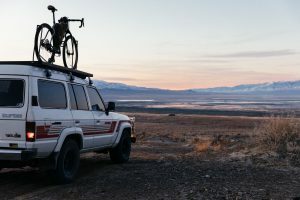 Some of us at Moots have a serious soft spot for Landcruisers….top it with a Moots and a place to ride and we are there. 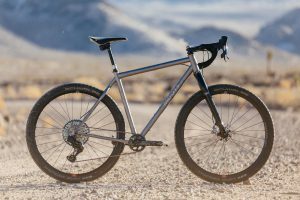 Interested in building your own BAXTER? 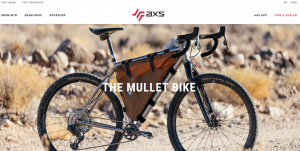 Click over to the product model page and use our custom configurator to start your adventure.